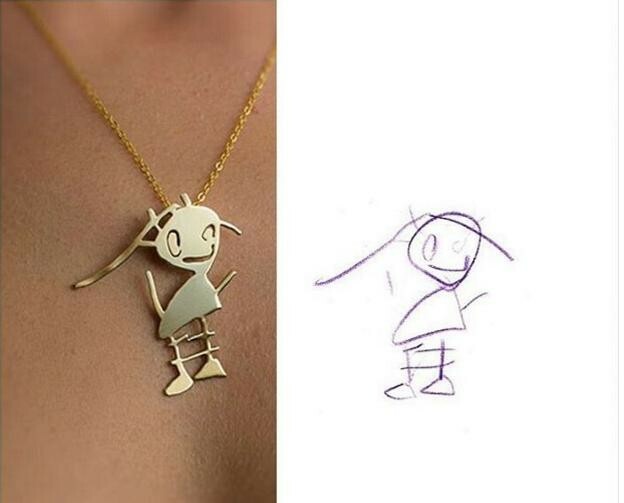 Any parent will tell you that one of the greatest parts of parenting is seeing your child express their creativity in their own unique way. If you have young kids right now, then you probably can’t wait to see what art projects they bring home from school each day, simply because they created it themselves and it came from their own imagination. 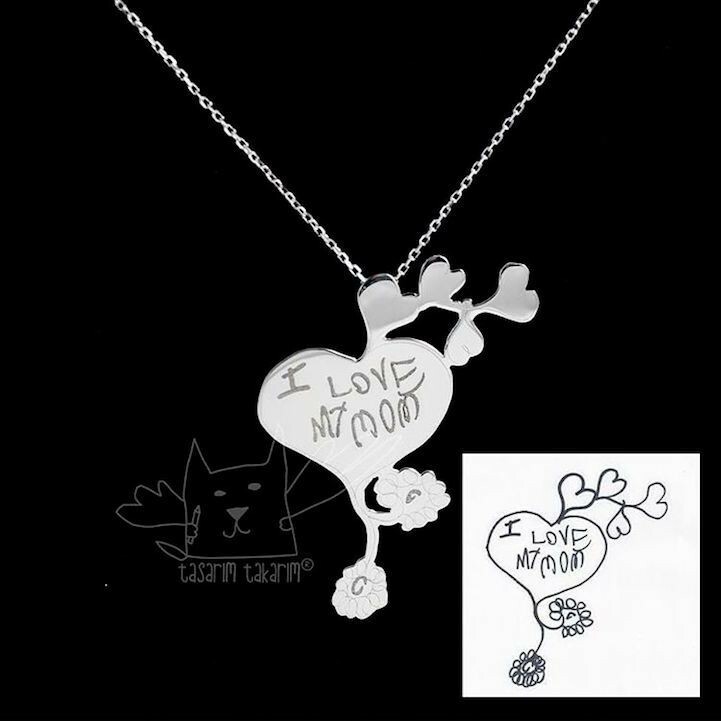 Now, imagine that you could turn those precious drawings into a timeless piece of jewelry that will always remind you of your child. 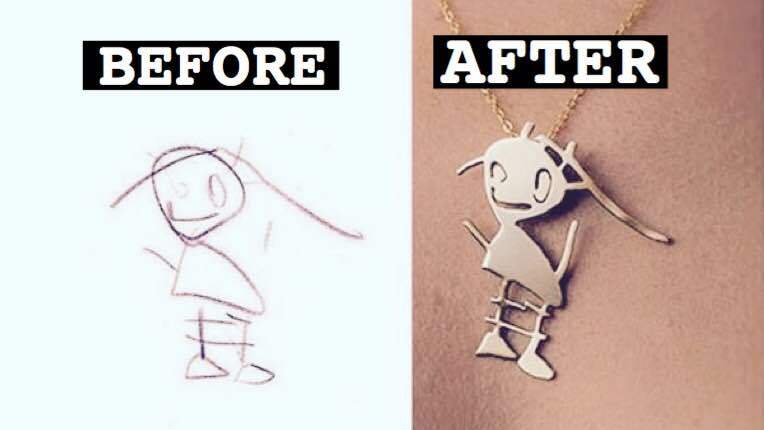 A Turkish jewelry company has now made this a possibility, helping you to keep your child’s artwork alive through beautiful, handmade bracelets, necklaces, cufflinks, and ornaments. 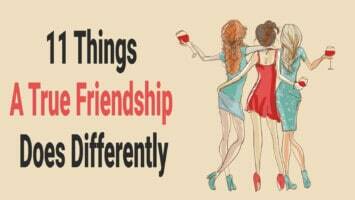 Many times, a lot of our child’s memories and creative projects get forgotten and tossed aside as they grow older, but now, you will never forget the special art that your child creates! 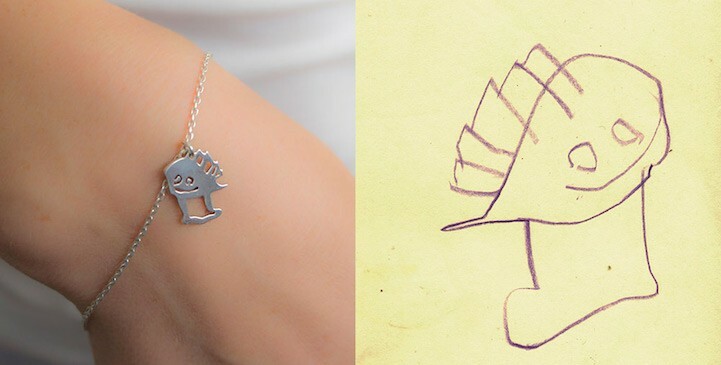 Tavukçu decided to start making jewelry from children’s art after seeing her own daughter, Serin, making her own artwork. 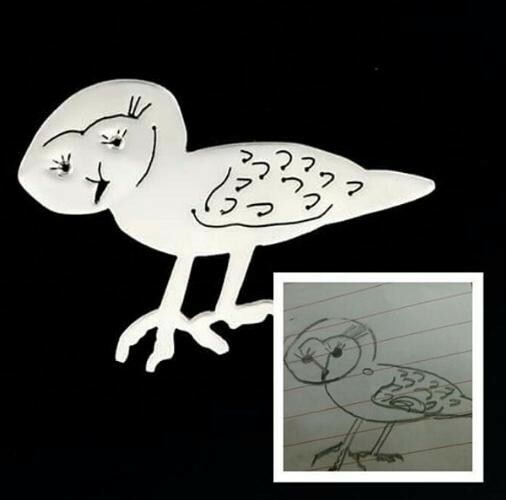 She partnered with Karavit, a goldsmith and sculptor, to turn her dreams into reality. 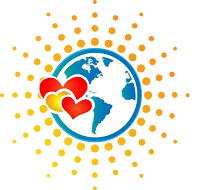 Now, the two receive artwork from parents all over the globe. 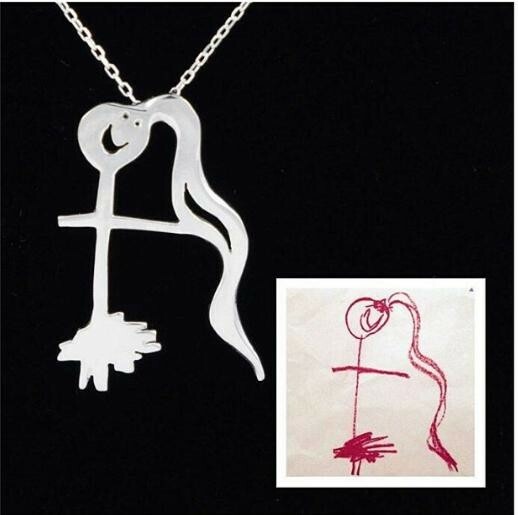 All their pieces are made of either gold or silver, and no two pieces of jewelry are identical. According to Tavukçu, they have to brainstorm to come up with unique ways of making each piece since all of the art is so different. These pieces of jewelry don’t just benefit the wearer, however. 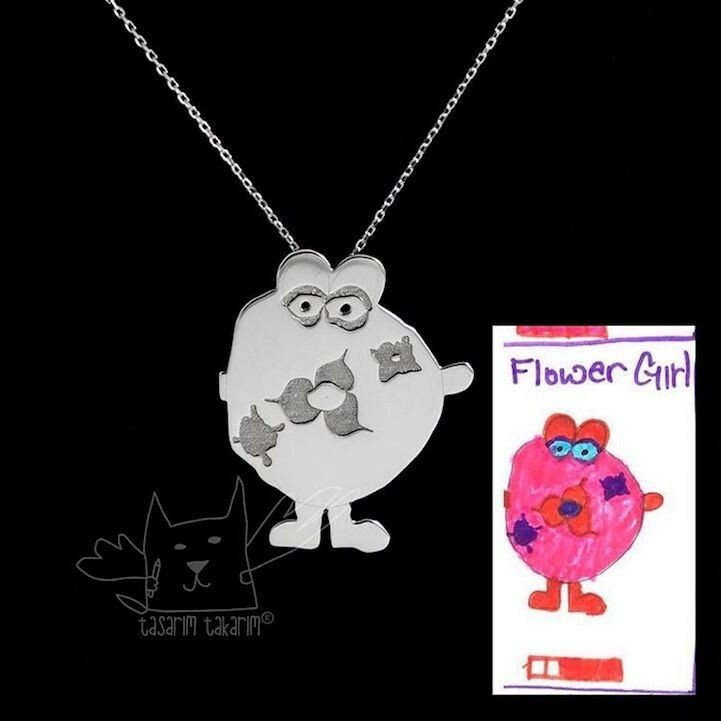 You’ll also get to witness your child’s face light up at seeing you wearing their artwork as jewelry! For Tavukçu and Karavit, they agree that their favorite part of the business is simply witnessing a child’s happiness over seeing their art turned into jewelry. 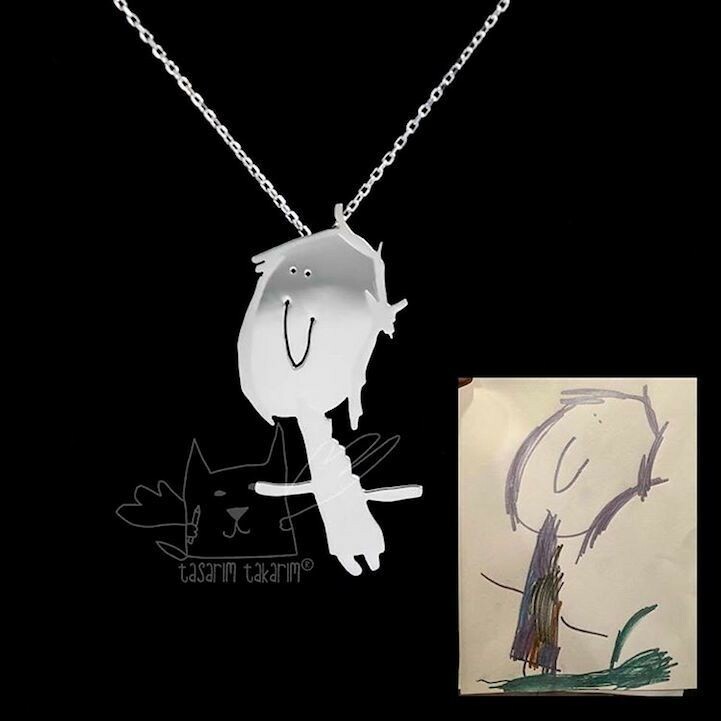 If you want to get a piece of your child’s art turned into jewelry yourself, check out Tasarim Takarim’s Etsy page. It takes about a week on average, and will cost anywhere from $100-200.